Why have you been turned downed by the bank? There are two major components of underwriting a file that a bank is going to reject a loan on. Number one is the borrower. If the borrower has fiscal problems as far as the credit score or their credit report has problems on it. The bank, especially nowadays, is not going to make that loan! If they can’t prove their income. Or if they have sporadic income or they have a low income, bank is not going to make that loan! So, if any of those problems pop up in the underwriting, they’re going to be rejected. The other major component of the loan is the house. A lot of investors that are trying to find hard money loans are buying foreclosure properties. A lot of these properties have been sitting around for a while, they might have been stripped out or damaged, whatever the problem is. They need a lot of repairs. The bank is not going to make a loan on an investment property that needs repairs. So, people come to the hard money mortgage lenders. For hard money lenders to take that kind of risk, they want a lot of equity protection. The most that they are going to lend, in this market especially, is going to be a fifty percent loan-to-value, based on the after repair value. 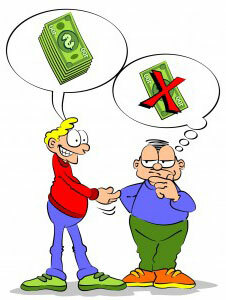 As a borrower, you shouldn’t be in the property any more than fifty percent anyway as an investment. The other thing that hard money lenders are looking at is short term. They don’t want to be with this borrower or this property or this loan very long term. You will find out later that the borrower doesn’t want to be that very long term either. The most hard money mortgage lenders are going to lend, as far as the term is concerned, is about thirteen months. They better be in and out of that long, have their property fixed up, neither marketed for sale, sold or refinanced within about twelve months. What do they get in return for all of this, is taking the risk as a hard money lender. They are going to be charging the borrower. At least fifteen percent and up an interest rate on that loan. So that’s why they don’t want to be in this very long anyway. That’s what is hard money lending all about. Hard money mortgage lenders are taking in a situation that the banks don’t want to take, but in return they want some compensation. What is hard money? Hard Money is basically a private mortgage. You as a private individual own a mortgage on a piece of property. And properties are typically owned by real estate investors that are buying up all these foreclosure properties and put them back on the market for the record turnout. You have a very low loan-to-value on these properties, but it’s secured. It’s a secured investment on a piece of real estate. We don’t have to tell you what’s going on the stock market or the bond market. Some of the largest corporations in the world are wiping out investors overnight through bankruptcies. Because you have a secured investment on a piece of real estate, you can not be wiped out in a bankruptcy, no matter what. They are fixed returns that you are receiving on yearly basis, typically, 50% and above. Not a bad yield. And these are fixed, they pay you in a monthly basis. Yours can be invested through your IRA, these are IRA qualified investments. But it has to go through a self-directed IRA. There are self-directed custodians all over the country and you could find them on the internet. What’s really good about the self-directed IRA is that you can buy private mortgages, hard money mortgages through your IRA. If you have your IRA through typical bank or a stock broker, they are probably going to tell you that they are self-directed. Of course, you could buy any of the products you find in their portfolio. Well, what if you wanted to buy a hard money mortgage? You want to invest in a house, or in a friends company. They would probably tell you that you can’t do it, or it might be illegal. Guess what? It’s 100% legal! With a self-directed IRA you get to choose the invetment product you would like to invest in. You can go directly to the IRS.gov to find out what you can invest in. This website has a publication 590 it’s about 100 page document. Go to pages 44-49, that is where you get the information what you cannot invest in. Hard money mortgages, private mortgages are not in that list. You can invest through your self-directed IRA, you can find a self-directed IRA custodian. There are probably about 20 out there, you can find them on the internet. There’s one thing about that private mortgage through self-directed IRAs, is that you could invest a portion of that mortgage through your IRA and you can invest and undevided portion through personal funds or with a friend. Let’s say you have a 401K, maybe you’ve lost your job or retired. You can roll over your 401K. You can also transfer your current IRA if you don’t like what the investments that have been offered to you are producing returns. There’s no penalty because you’re moving from one IRA to another IRA. What’s good about hard money? We’re not talking about where you’re just need a little portion a fractionalized interest in a large pool of investors on a huge commercial project. We’re talking about probably one of the oldest forms of investing. That’s a first mortgage on an individual house. What you’re going to do is get an individual investment file from the hard money lender or broker. That way again you have total control over the entire investment. In that investment file you’re going to have all the loan documents that’s going to include the note. The note it’s going to show you what the interest rate that you’re going to be yielding. It’s going to show you what your monthly payments are going to be. It’s going to give you when the monthly payments are due and when the balloon is going to come due. You’re not going to be in this for a long term, it’s not a 30 year mortgage. It’s a very short term mortgage like a bridge loan. May be only 12 or 13 months long. Also you’re going to have everything about the borrower. You’re going to have their credit report to show how they make their payments. You want some good payers to actually be a part of this investment. And you’re going to have everything about their income. You’re going to show how much money they make per month to be able to cover this this mortgage payment the note payment. The most important part you’re going to have an appraisal showing the property. You want to make sure that you’re secured that your investment in this is actually secured by the property that you want to invest in. Basically that’s what you’re doing going. You’re going to hold a first mortgage on a piece of property. All this money is going to go through the title company, you’re going to be secured because you’re going to be in total control of this entire investment. That’s how the hard money mortgage is as an investment. What the real estate investor should be expecting from their hard money lender? 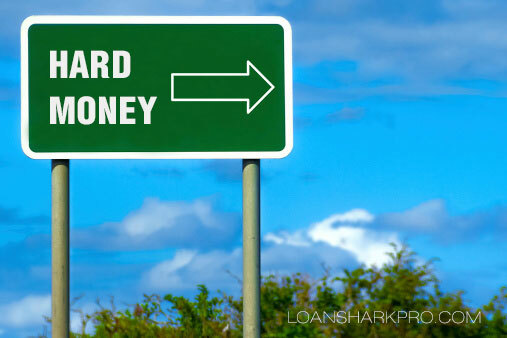 Hard money lender should be located near the real estate that you’re buying. They’re going to want to drive by the property and you want them to drive by the property. You want to make sure that the area that the property is located in has pride of ownership. There’s an awful lot of investors that are buying properties all the way across the country. There are real estate investors out of California that are buying property in the metro Detroit area. And they don’t know exactly what the neighborhood looks like. You want to make sure as a realistic investor that that neighborhood has pride of ownership. Well, the hard money lender wants to make sure it has pride of ownership too. They don’t want to land in an area that’s full of boarded up and burned out houses, and you don’t want to buy there. This is how they structure the deal. It shouldn’t be more than fifty percent loan-to-value on the after repair value and typically. This is how we find it – twenty thousand dollars. Let’s say on a typical purchase in the metro Detroit area twenty thousand dollars possibly for the rehab costs. So, let’s say the financing is going to be forty thousand dollars. You want to make sure that that property comes in at a minimum value of eighty thousand dollars. So you now, more than fifty percent loan-to-value on the final deal. It’s going to be a short term loan. You need to get out of it within thirteen months, in about a year and that time flies by quickly. You want to get out of that deal. Either you’ve got to be ready to refinance and pay off the hard money lender or it should be sold. So, there better be an exit strategy. You either have to be qualified to get out of it through a conventional loan, or you have a buyer who’s all set up to close. That’s how the hard money lender is going to actually protect you in the long run. And that’s how hard money loans works for the real estate investor.